Thomas J Fisher practises in the firm’s litigation practice group, is chair of its International Trade Commission (ITC) litigation practice group and co-chairs its IP transactions practice group. 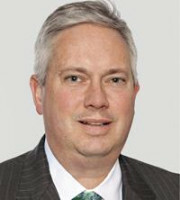 His primary focus is on litigating complex electrical, mechanical and computer software patents in federal district courts, in Section 337 proceedings before the ITC and in appeals to the US Court of Appeals for the Federal Circuit. Mr Fisher has worked extensively with electrical and mechanical technologies such as software, encryption, GPS, micro-electro-mechanical systems technology and medical devices. A former electrical engineer, Mr Fisher has more than 12 years of industry experience in electrical engineering, software and information technology. As an engineer, he developed software solutions for business and government applications as well as modelling and simulation tools, analyst workstations and real-time control systems including satellite ground systems and traffic control systems. He also owned and operated his own software consulting business and has significant project management experience on large software development projects. Mr Fisher brings a unique combination of skills to his client representation. In addition to his litigation and technical background, he has practised in the firm’s electrical and mechanical patent prosecution and post-grant practice groups in the areas of computer software, internet-related technologies, e-commerce technologies, digital communications and telecommunications. Additionally, Mr Fisher drafts opinions and counsels both domestic and foreign clients on patent portfolio development, IP issues relating to various corporate transactions, licensing, litigation avoidance, risk management and post-litigation tactics. He is also a certified licensing professional. Mr Fisher co-founded and actively contributes to the firm’s legal blog devoted exclusively to Section 337 investigations before the ITC – the ITC 337 Law Blog. He has lectured on US patent law for the NDS Intellectual Property programme at the Swiss Federal Institute of Technology in Zurich and frequently lectures worldwide on patent litigation and ITC litigation practice.